Just an update on a few sightings from last week. We did a Hauraki Gulf trip with a group on 10 Feb with Brett Rathe on “Norma Jean”. Probably the most NZ storm-petrels I’ve ever seen on a day trip with an estimated 25-30+ individuals. At our first chumming location to the west of Little Barrier a NZSP was almost the first bird to arrive before the chum was even in the water, and we then had at least two more come in over the next hour or so. Then as we steamed towards the Mokohinaus we had three different individuals AS WE STEAMED. At Maori Rocks we had around 20+ grey ternlets, and then heading out past the Mokes we had far fewer birds. However, we did have a steady stream of NZSPs, and when trouble with batteries delayed our departure, we had three NZSP fly past us after the chum had run out. They all seemed to be flying SW towards the Mokes. We didn’t really have any surprise birds of the day, with only one diving petrel, one sooty shear, and no grey-faced or Pycroft’s petrels, a little surprising considering the time we spent out in deeper water. 11 Feb I caught up with the Semi-P plover as previously posted. Despite searching the wrybill/banded dotterel flock for an hour or so after I saw it I couldn’t refind it, despite refinding the curlew sandpiper on several occasions. Also found several black-fronted dotterel down Island Road, with a pair and recently fledged juv right beside the road at the traffic lights as you come to the canal. At least one dabchickshowing on the settlement pond at the western end of Island Road before Puketutu Island. 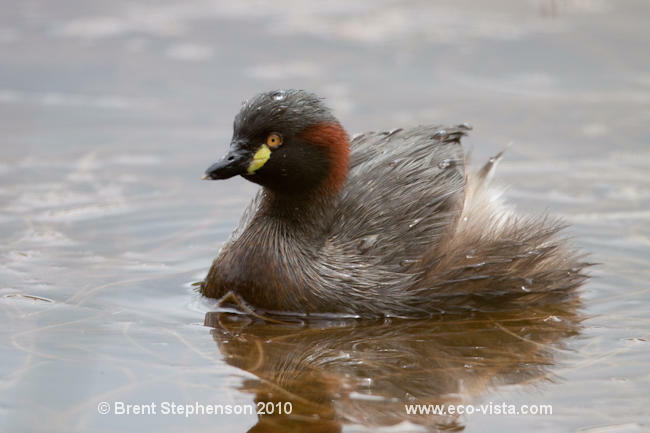 12 Feb I headed northwards and found the Australasian little grebe pair at Ormiston Road near Waipu with two chicks. One chick per adult being fed and taught to dive. Very cool with a few nice photos during the time there. Also still a pair of NZ dabchick there, but no sign of any chicks with them, although Sav only saw one dabchick there on 8 Feb, perhaps meaning the other was on a nest at the time. I then headed to Waipu Estuary and found lots of the usual VOC, NZ dotterel, godwit, knot, and a good bunch of probably 20+ turnstone. Saw a single fairy tern feeding over the estuary, but it headed up the estuary and I didn’t see it again. Still young VOC chicks being fed and protected by adults. 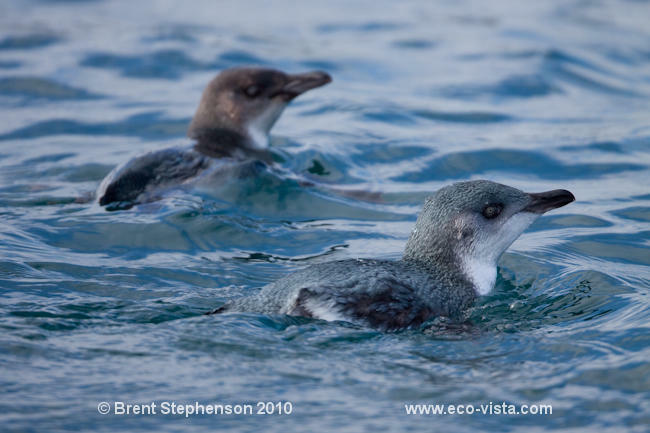 13 Feb we did an afternoon pelagic out of Whitianga. Surprisingly quiet bird wise, we headed out seeing a couple of Arctic skua on the way, then keeping in the shelter of the mainland and out to Red Mercury before heading east towards the shelf, with a good 20+ knot NW. We did several drift sessions chumming as we went, with a Mako shark seemingly more interested in the slick than the birds. We had several close passes by Pycroft’s early on, but even very few flesh-footed and Buller’s shears, and only a few Cook’s drifting past. More white-faced storm-petrels than anything, and a single sooty shear andblack petrel. The normal rafting of Pycroft’s petrels off the islands late afternoon just didn’t happen, but luckily the close passes earlier kept us happy. Perhaps they were feeding further off, or for some reason coming in late? That’s seabirding! 14 Feb Sav reports a female falcon perched roadside near Pureora and scope views of both long-tailed and shining cuckoos in Pureora. He was interested to see a ‘flock’ of four shining cuckoo, so whether these were birds getting ready to migrate together or not, who knows. 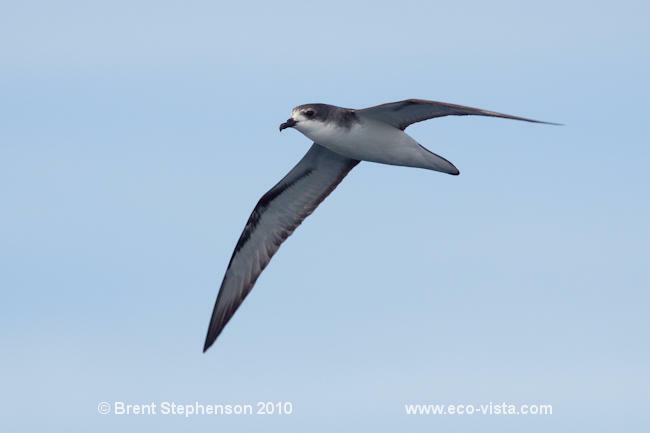 Above: Pycroft’s petrel of the Mercury Islands, near Whitianga. This location is definitely the best to see this species.